Your body has amazing ways of protecting itself. For example, one of the most important natural protective mechanisms is the blood-brain barrier, a semipermeable layer of cells that prevents blood from leaking out of blood vessels and into the brain. 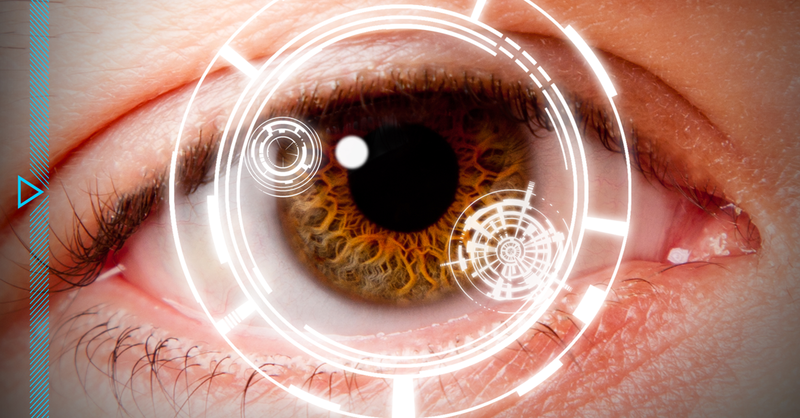 A similar mechanism (known as the blood-ocular barrier) protects the structures of our eyes. But when a person has a stroke, all bets are off as to the effectiveness of this eye-protecting barrier. A recent study came about after what seemed to be a serendipitous finding—MRI scans of the brain, taken right after a person suffered a stroke, showed that material used for contrast in those scans (gadolinium) was leaking into the eyes. Gadolinium is clear and harmless, so its presence in the eyes does not affect vision. But researchers hope that this new information will lead to more studies and, possibly, to an eye exam that can provide helpful information about what is going on inside the brain of stroke patients. Study details: Researchers carefully analyzed the brain MRIs that were taken of 167 people who were admitted to the hospital after having an ischemic stroke (caused by a blood clot). MRIs with gadolinium, the tracer that allows structures to be seen more easily, were taken immediately upon arrival to the hospital and then again two hours and/or 24 hours later. The researchers then made observations about the “leakage” of gadolinium into the eyes during this time frame and tried to identify associations with other important characteristics of the stroke. Results: Based on the MRIs, three-quarters of stroke patients were found to have evidence of gadolinium in their eyes during the 24 hours after the contrast agent had been administered. There was minimal difference in the occurrence of leakage into the eyes between patients who received the clot-busting treatment tissue plasminogen activator (tPA) after their strokes and in those who didn’t receive the drug (79% versus 71%). In most cases, the gadolinium was found in both eyes. Eighteen percent of people with scans at two hours had severe gadolinium leakage, and they were more likely to have had more damaging strokes. It is possible that this finding provides insight about the stroke that would not be seen on a routine CT or MRI of the brain. In patients with scans taken 24 hours after introduction of the gadolinium, those with a history of high blood pressure were twice as likely to have leakage into the eyes. Leakage was also more common in older patients. Note: In an unrelated action, the FDA recently issued a warning that gadolinium can linger in the brain, skin and bones for years. Some patients have complained of pain, burning sensations and weakness after injection of the contrast agent. Currently, however, there is no scientific evidence for negative effects from gadolinium when used in patients with adequate kidney function. The FDA advises the use of formulations of gadolinium with macrocyclic agents, which do not deposit in the body.